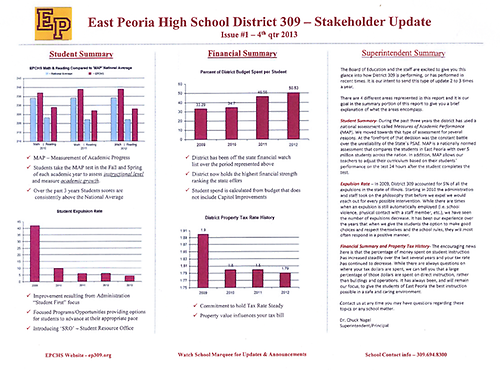 East Peoria Community High School is a four-year comprehensive school with an enrollment of approximately 1,200 students located in a diversified business, professional, and industrial community. Since the district covers thirty-one square miles, the district operates district-owned buses to transport students. Our modern, well equipped high school has 103 classrooms and two gymnasiums. The academic facilities include fourteen computer labs, two large art rooms, a ceramic lab, a large choral room, a band room with practice rooms, and an orchestra room. 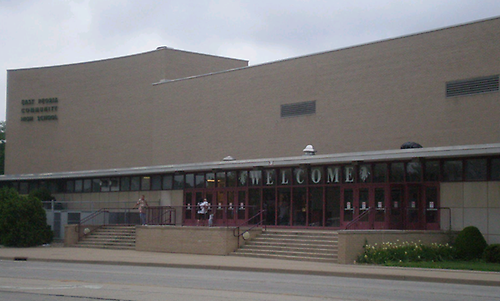 A spacious 1,200 seat auditorium, in which the Eastlight Theatre Company has its major productions, is used both by the school and community. The school houses Channel 22, the public access television studio, which is available for instructional use, as well as a fully equipped Library and Media Center. A modern cafeteria provides breakfast, hot lunches, salad bar, snack bar, and À la carte entrees. 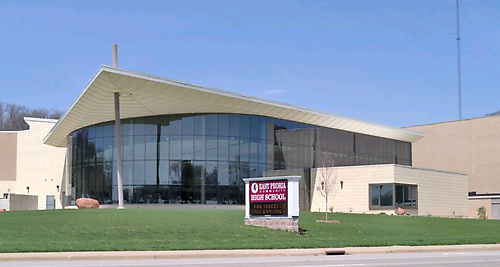 East Side Sports Complex, a new addition to the high school and the city of East Peoria, now serves as EPCHS sports facility located two miles from campus. This brand-new complex is the host to many of EPCHS' athletic activities, including football, track, baseball, softball, and soccer.